The Croatia international has been a regular feature in the Blaugrana lineup over the past four-and-a-half years but his future hangs in the balance beyond the current campaign. According to La Gazzetta dello Sport, the World Cup finalist is after a new contract with the Spanish champions and their reluctance to offer him the same may seek him push for a fresh challenge elsewhere. The Catalan giants have already acquired the services of Frenkie de Jong from Ajax on a contract starting from next season and reports have previously indicated that the Dutchman has signed the deal with the assurance of regular starts. 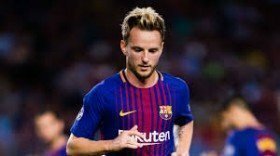 This could in hand hamper the gametime of Rakitic on the playing field and it is claimed that the Croatian may head to the Serie A in the summer with Juventus a probable destination.